Sitting nicely alongside the botanical trend, the colour sage has been chosen as the Pinterest colour of 2018. The grey-toned green injects a real sense of purity into a room, and is believed to carry invigorating attributes for the mind and body. There is a notable theme developing in the interior sphere, with a real desire for clean design and nature inspired interiors that contribute to a positive frame of mind. 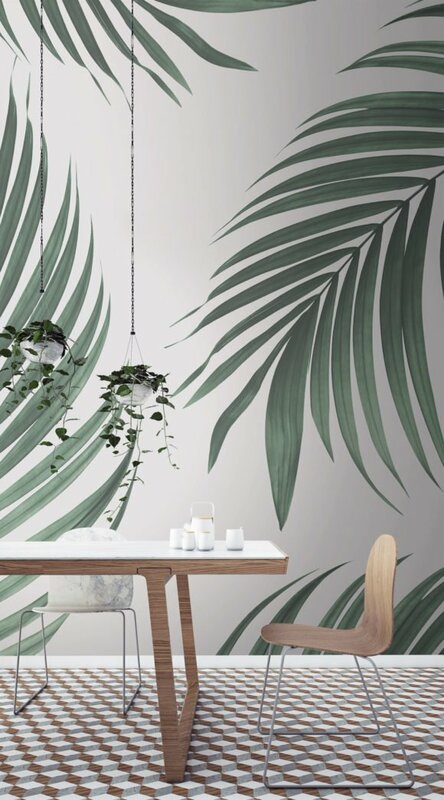 The MuralsWallpaper designers have curated a beautiful collection of perfectly sage murals that capture this refreshingly calm trend and enable you to update your home with the most talked about tone of the year so far. A serene, soft, grey-tinted green, that reflects the calm colours you would find in a natural paradise. Not only is the colour pleasing to the eye, but pale, soft colours are proven to ease the mind. Green is a peaceful and quiet colour, symbolizing nature and life, as well as having the potential to diffuse anxiety and help you stay calm and refreshed. 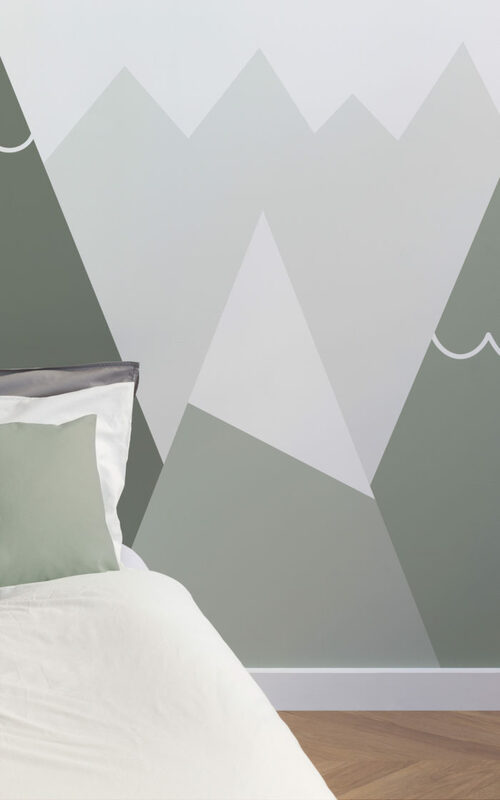 The sage colour palette is a perfect choice for your first mural. The beige and grey notes of the green are soft, subtle and relaxing, making it a very easy colour to incorporate into your home. The colour offers intrigue and curiosity in the MuralsWallpaper designs, despite them being subtle. 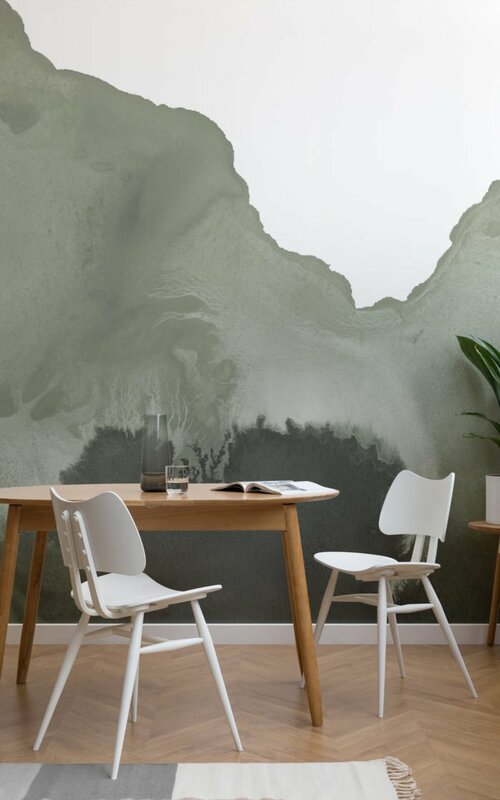 The mural designs become confident in the simple form of sage, perfect for creating an on trend and tranquil space, whatever your design style might be. 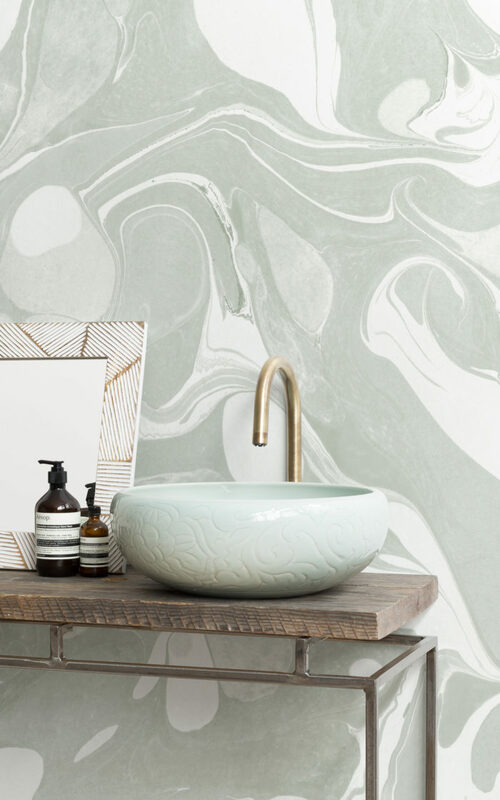 This sage collection of murals is perfect for a wide variety of tastes, personalities and ages too. 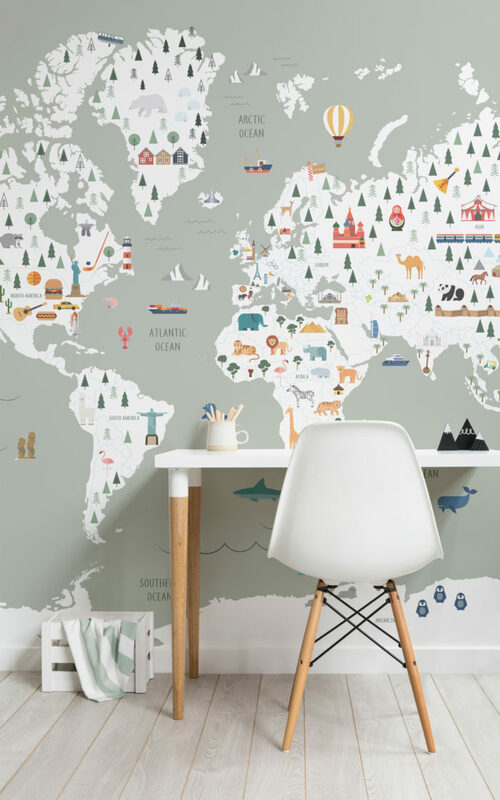 One of the designs in the collection is a fun, illustrated map mural, perfect for a kids bedroom. The Intrepid Sage Ultimate Kids Map is playful and full of character, encouraging your little one’s imagination and their dreams of world travel… yet the design is iconic and sophisticated, and would have any parent feeling proud of the space. Green is the colour of new life and fresh starts. With the warmer, lighter days upon us, it is time to brighten up our spaces and invite the wonders of spring and summer into our homes. 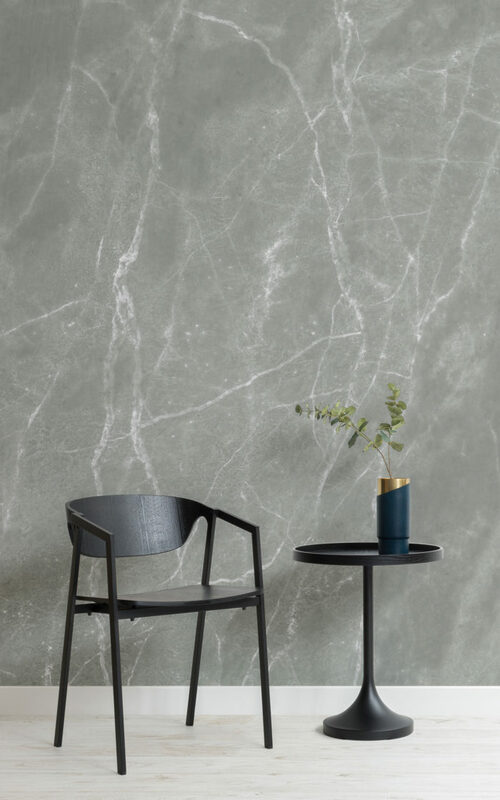 Sage is the perfect colour for styling spaces that are in particular need of a refreshing and calming touch. A home office space or reading nook are places where you want to be able to concentrate with minimal distractions, and the peaceful nature of this colour offers the perfect backdrop for rooms such as these. A living space or dining room also benefits greatly from a splash of sage. 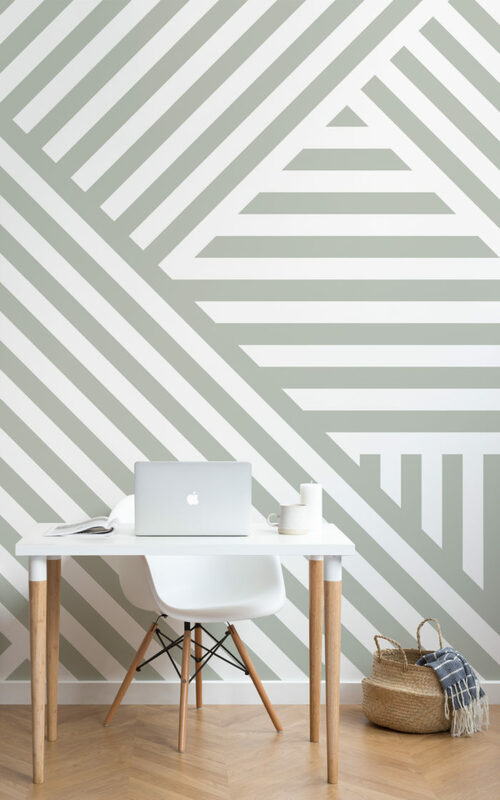 With its potential to effectively reduce your stress levels from the hustle and bustle of your day, sage will have you feeling completely at ease, yet the bright iconic designs of these murals will have your room full of creative interior flair. 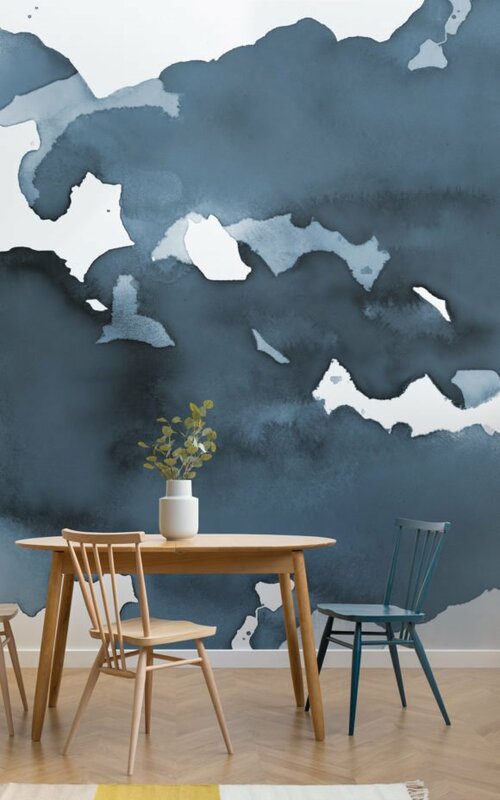 Style these wondrous murals with toned down furniture and accessories to create the most relaxing and refreshing spaces. Utilizing the subtleness of sage in your home, can completely alter the way your spaces feels. Adding wooden features and soft whites compliments the subtleness of the murals, contrasting against the beautifully serene wall. Styling with different textures and layers creates a room that feels more complete, and ultimately makes you feel more relaxed. This grey-tinted green is the latest beautiful discovery in the treasure trove of tones, and truly mesmerizing to look at. 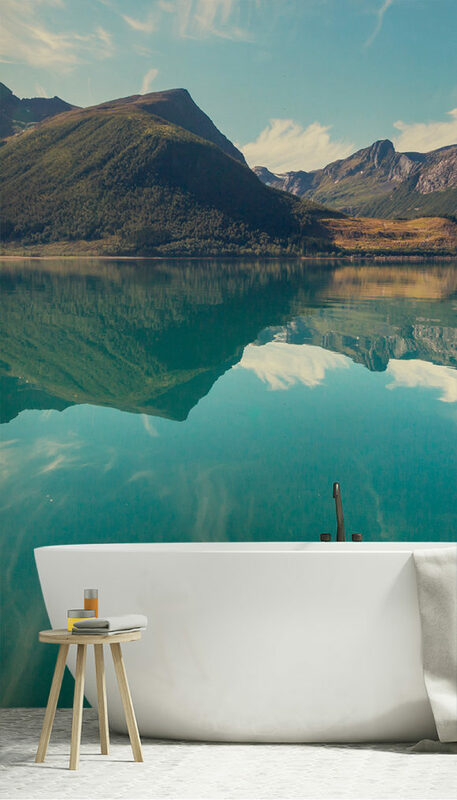 When incorporated as the core colour of a wall mural, the sage trend is elevated into something even more spectacular, offering an amazing backdrop for your most favourite space.